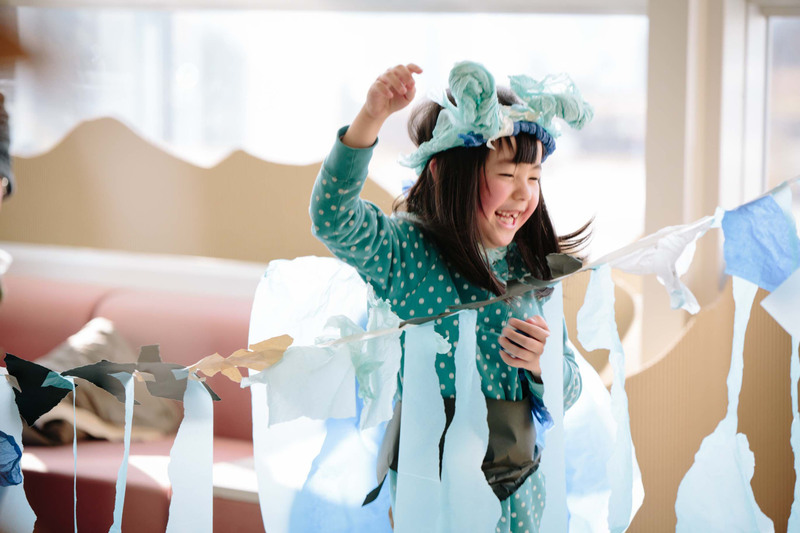 Mikako Atsuchi, founder of the arts and music NPO Acchi Cocchi, has witnessed the power of performance to connect and heal. 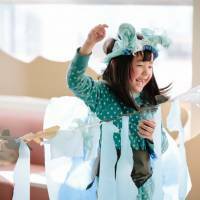 She works to bring music, dance and the visual arts into everyday life in Tohoku and the greater Tokyo area. A graduate of Musashino Academia Musicae in piano, Atsuchi worked for a classical musical management company for 20 years, but the seeds of Acchi Cocchi were already sprouting while she was still a student. In 2011, Atsuchi had quit her job and was studying at business school when the triple disasters of March 11 hit. Creating a cafe-like environment while she and her friend performed piano and violin, Atsuchi’s first “cafe concert” was so rewarding, she made a commitment to build relationships in Tohoku, feeling that a one-time visit would not accomplish enough. She started inviting more musicians to join her, and the idea for Acchi Cocchi blossomed. At first Atsuchi paid all the costs herself, piling volunteers into her own car for the drive, but a professor from business school counseled her on starting an NPO. “The disaster affected me deeply, and made me really think about what I wanted to do with my life,” she says. Atsuchi firmly believes Acchi Cocchi’s work helps the artists as well. 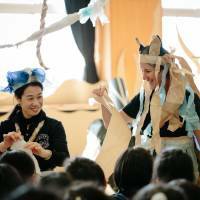 Having had a few years of success in Tohoku offering a wide range of musical events and arts workshops across the region, Atsuchi expanded to include other communities in need of emotional support. 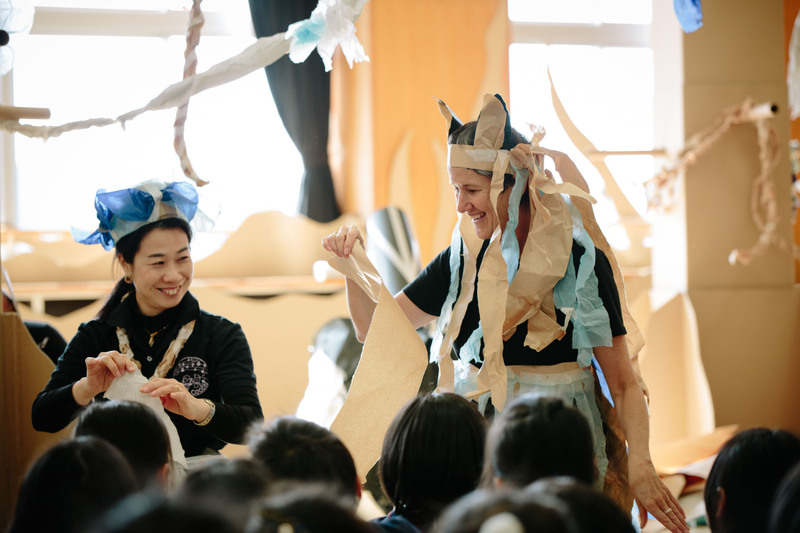 Recently, the group collaborated in Tohoku for the second time with Australia’s renowned Polyglot Theatre, bringing their interactive artistic production “Paper Planet” to the elementary schools in Minamisanriku, Miyagi Prefecture. The children and adults worked together to create a new world from their imagination. Bringing an international outlook into the devastated areas gives the children a valuable perspective on the aftermath of the disaster. Atsuchi says that even after visiting the affected areas every month for seven years, there still remains so much more to do as regards the emotional recovery. Atsuchi hopes to bring more such international exchanges to Tohoku and beyond. Acchi Cocchi: www.acchicocchi.com/index_en.html. Send all your questions and comments to lifelines@japantimes.co.jp.